As part of the UN initiative « Sustainable Energy for All» (SE4ALL) , AVN and the Organisation Catholique pour le Développement et la Solidarité – OCADES - Caritas of Dédougou organised a theatre-forum  at the end of January in Ouroubonon, to raise awareness about how households can improve access to good quality renewable energy; this was organised in collaboration with the Netherlands Development Organisation (SNV) in Burkina and the Mayor of Boromo. 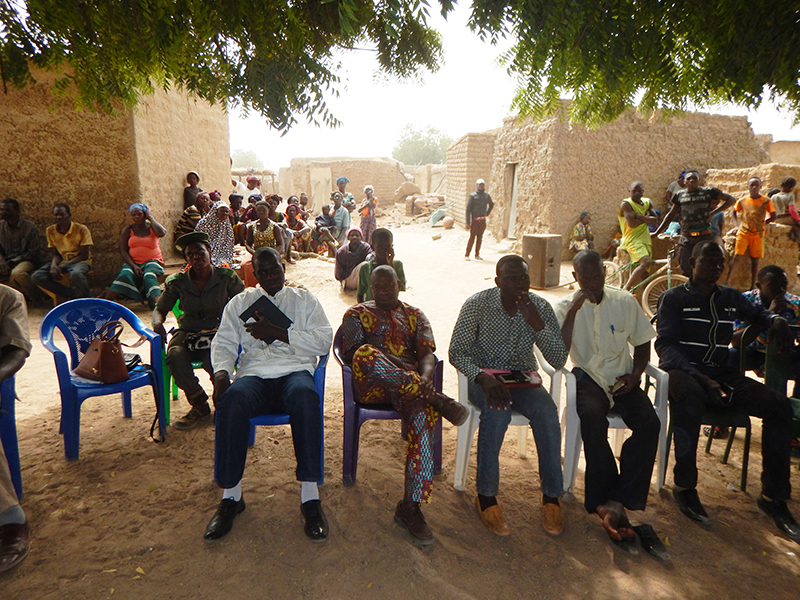 Sixty people took part, including institutional actors from surrounding communes (Boromo, Petit Balé, Lapara, Wahabou), including Fatoumata Sankima, representing the Departmental Service of the environment, the green economy and climate change in Boromo. The principal of the theatre-forum was well appreciated: each participant was able to contribute to the topic and offer suggestions for good practice. A group of actors enlivened the the meeting very successfully, and AVN and OCADES were able to respond to specific questions as needed. 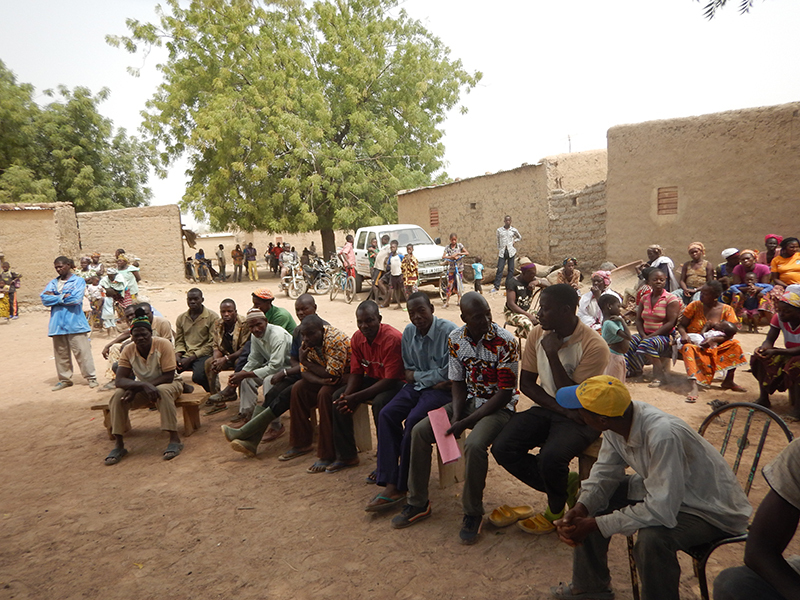 As a result of this success, the AVN Burkina Faso team suggested that similar meetings should be organised to make the relevant information accessible for as many people as possible. During the discussions on housing and energy, the NV concept was addressed as an architectural solution for construction of low-carbon energy efficient buildings. 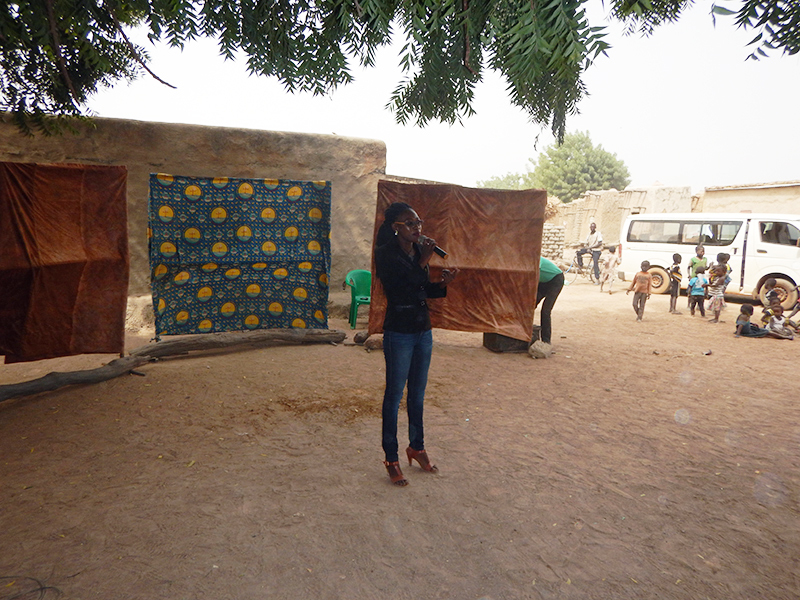 As a result, many of the participants learnt about the AVN Programme and asked for it to be promoted in their locality. Launched by the UN Secretary General in September 2011, the SE4ALL Initiative aims, by 2030, to provide energy for everyone, to double both energy efficiency and the share of renewable energy resources in the global energy mix (source: Wikipedia). A theatre-forum involves participatory improvisation aimed at raising community awareness of the social and economic issues around a specific theme.